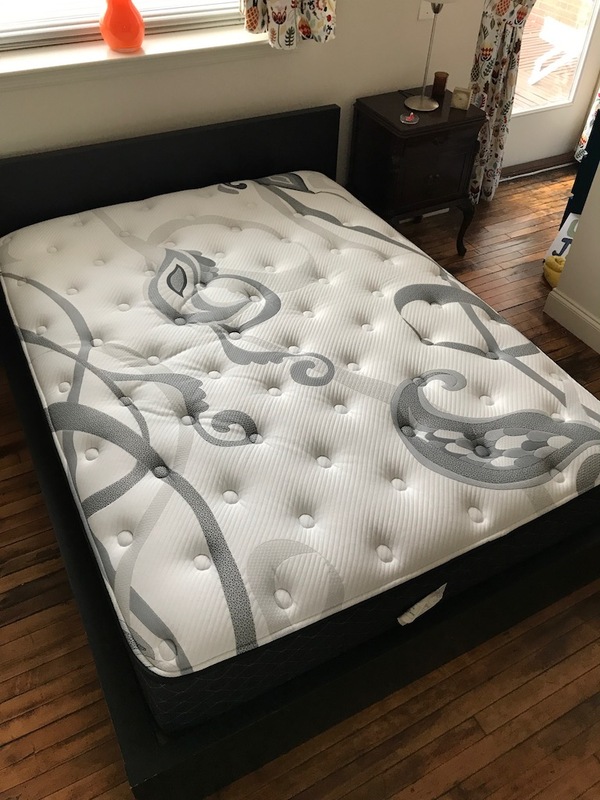 LUFT Hybrid Mattress Review was recently completed by the MattressJunkie.com team. LUFT believes in making the bed of your dreams by producing the bed of their dreams. LUFT comes from the manufacturing side of the mattress business so they have a rich background in making quality mattresses. LUFT offers a memory foam and a hybrid option. The LUFT Hybrid Mattress that we received was queen sized. Check out more about the LUFT Hybrid Mattress below. Tell me more about the LUFT Hybrid Mattress cover. 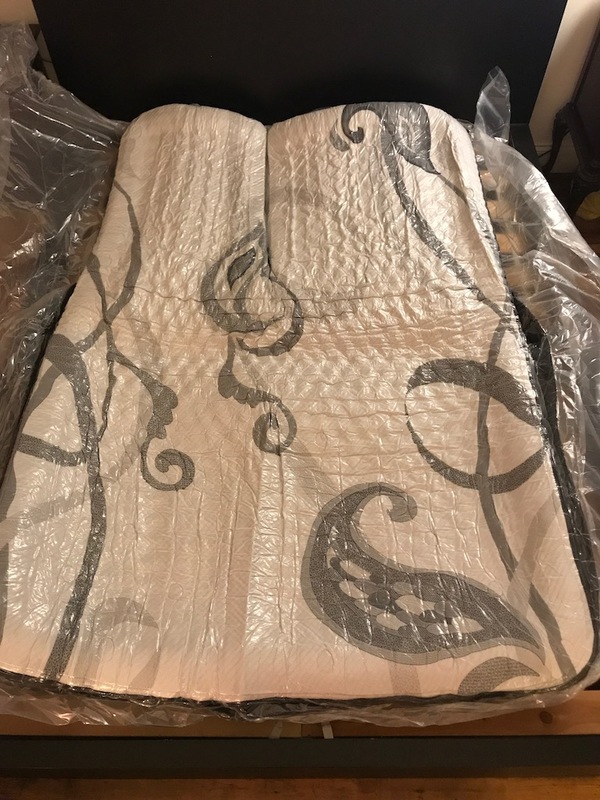 LUFT Hybrid Mattress cover has a unique gray swirl designed cover on hand quilted high loft fiber. The cover is extremely nice and high quality. Rarely do I see a cover this nice on the mattresses I receive for review so LUFT did a great job on a high quality, luxurious cover. 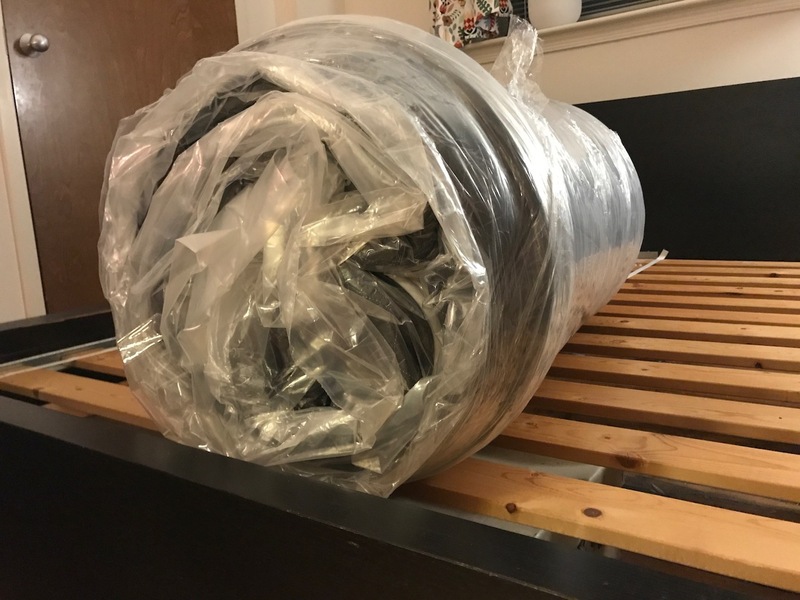 What’s under the LUFT Hybrid Mattress cover? 5 layers make up the LUFT Hybrid Mattress. 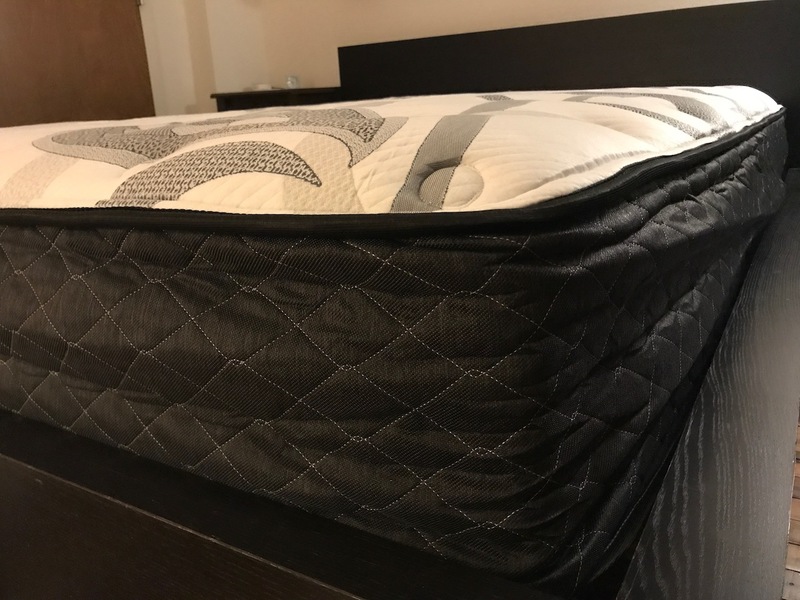 The first layer is 2 inches of gel infused cooling memory foam quilted to the high loft fiber cover to enhance airflow. The gel infusion into the memory foam aids in cooling and heat dissipation. The 2nd layer is 1 inch of cooling graphite memory foam that helps evenly distribute body weight. When your body is unevenly distributed, you start to feel pressure and pain in certain areas. Keeping the body evenly distributed is an important factor in eliminating pain. Graphite also is very helpful in keeping you cool throughout the sleep process. Layer 3 is made up of 2 inches of high density, 1.8 pound polyurethane foam. The high density foam is crucial in support and longevity of your mattress. The 4th layer is custom designed zoned innersprings. These individually wrapped coils engineered with enhanced edge support provides excellent edge support on the LUFT Hybrid Mattress. 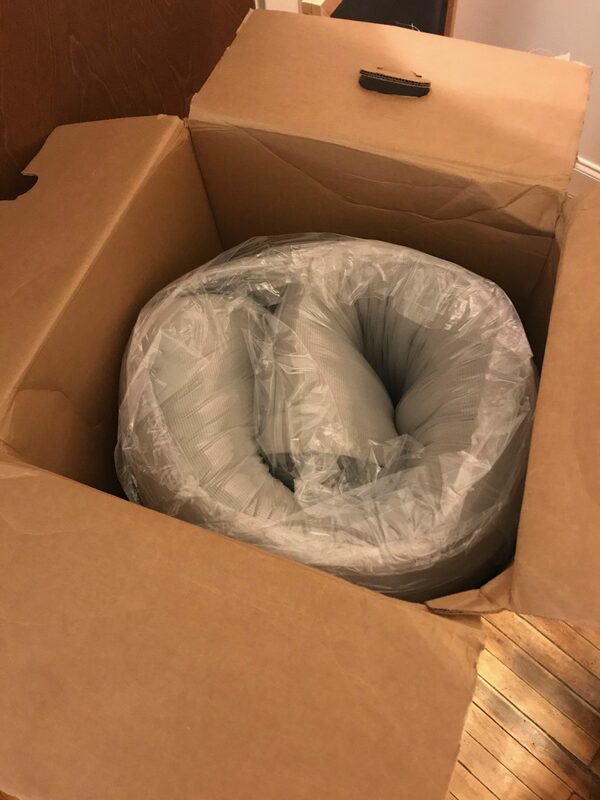 Many mattresses that arrive in a box struggle with edge support. The LUFT Hybrid Mattress has exceptional edge support and motion transfer is minimal so if you don’t sleep alone, you shouldn’t be disrupted when your partner moves in bed. The last later is 1 inch of high density polyurethane support foam. 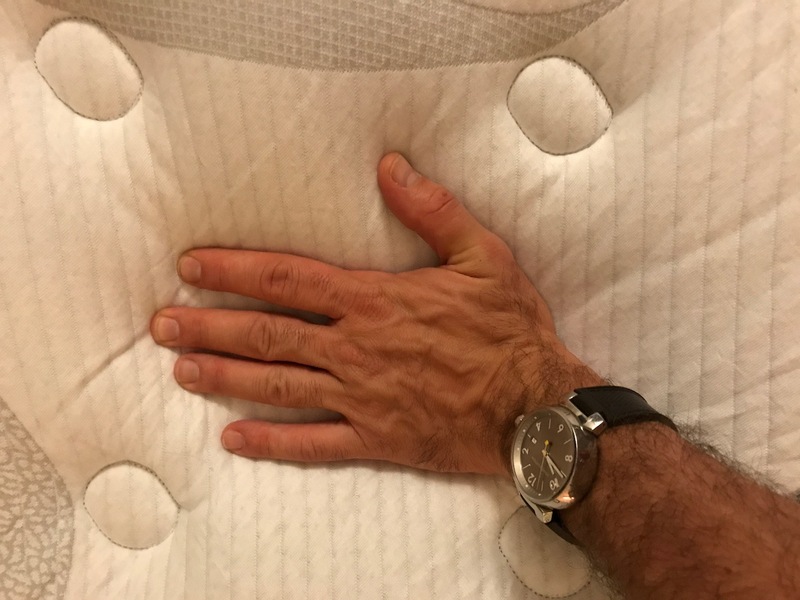 This layer is your last layer of support on the mattress and will give you long term longevity with your mattress as well as preserve support year after year of sleeping. What type of sleep style works best for the LUFT Hybrid Mattress? LUFT Hybrid Mattress comes in one level of firmness, medium firm. With a medium firm, all sleep styles would work well. I always recommend medium firm for stomach sleepers and back sleepers. Side sleepers also do great on a medium firm level of firmness. LUFT Hybrid Mattress works great for everyone with a not too soft, not too firm level of comfort. How much does the LUFT Hybrid Mattress cost? What type of warranty does the LUFT Hybrid Mattress have? The LUFT Hybrid Mattress has a 10 year warranty on their hybrid and memory foam mattress. LUFT also offers a 100 night sleep trial where you can get 100% refund on your purchase if you decide the LUFT Hybrid Mattress is not for you. Hybrid mattresses combine memory foam and another material to make a better mattress. I like to think of hybrids as the best of all worlds. You get the comfort of memory foam, the cooling of latex, and the bounce of a spring mattress. Hybrids are usually more expensive than memory foam and have a longer lifespan. 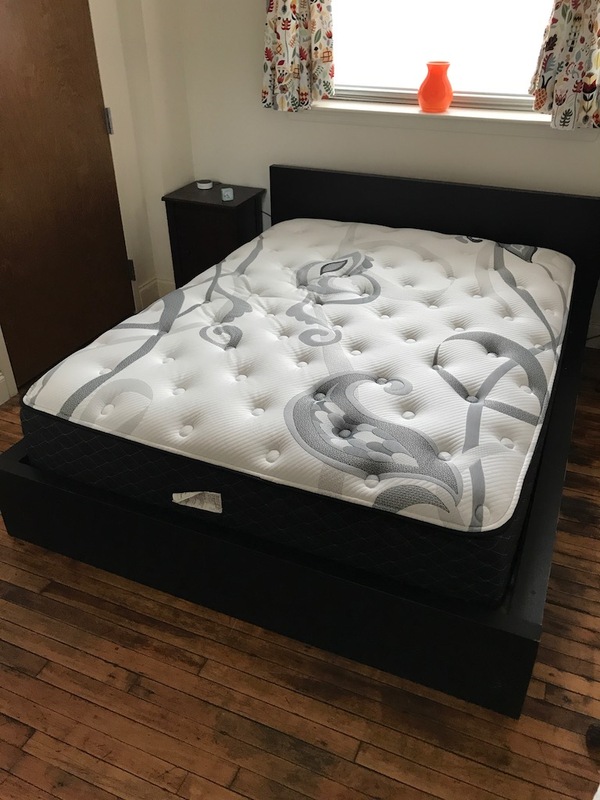 What surface is best for my LUFT Hybrid Mattress? We reviewed our mattress on a platform bed. The LUFT Hybrid Mattress would sleep great on any flat surface like the floor or a box spring. Do we recommend the LUFT Hybrid Mattress? We loved the LUFT Hybrid Mattress. If you want a luxurious mattress that looks and feel way more expensive than the actual cost, LUFT is an excellent choice. At $850 for a queen, you will not find a nicer hybrid mattress at a cheaper price that is as high quality as LUFT. Learn more about the LUFT Hybrid Mattress here….